This event is free but pre-register only. Read event description for access code. 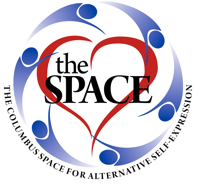 Short version - come help us put a shine on the Space. When we are done, we are hosting a play party to say thank you! The details! The Space is reaching out to our community to come over and help us put a 'spit shine' on our space! From dust bunnies to spot painting to all the other little things that make the Space sparkle, we will be going after all of it! And when that is done, and all that furniture and equipment is cleaned up and ready to use...well, lets use it! Anyone that is part of the cleaning crew then gets to take part in a no cost play party that very night! This is our way of saying thank you!